First cut a 6" x 9" piece of navy blue card stock and fold it in half for the base, a 4 1/4" x 5 3/4" piece of Stampin' Up! Elegant Eggplant for the middle layer and a 4" x 5 1/2" piece of white for the front layer. Then using a stamp positioner stamp both trees with the Stampin' Up! Lovely as a Tree set in Stazon Jet Black ink. Then sponge the top half of the sky with Stampin' Up! Night of Navy ink from dark to light then the bottom half with Stampin' Up! Elegant Eggplant ink again from dark to light starting at the bottom leaving a small amount of white in the middle. 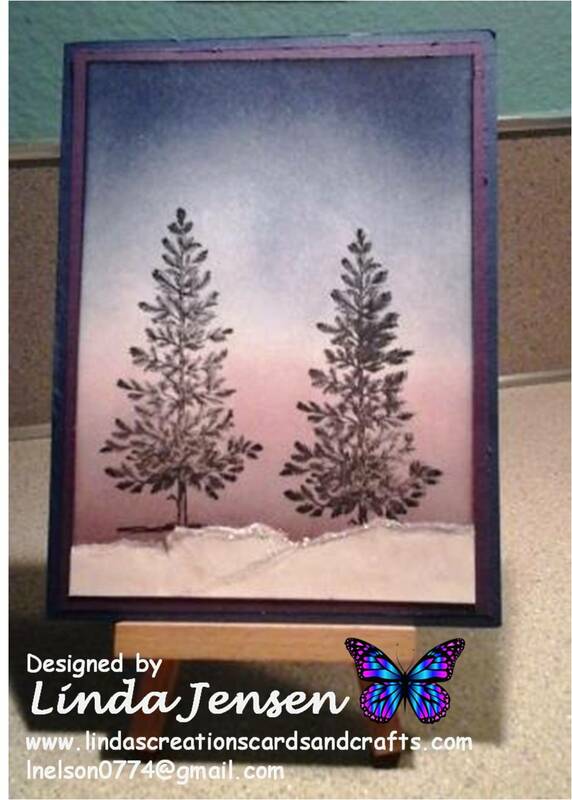 Then create the snow by tearing a thin piece of white card stock and adding Diamond Stickles glitter glue to the edge. 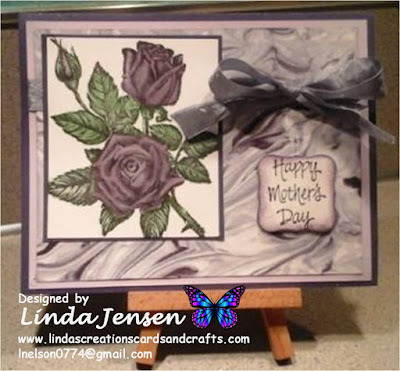 Allow to dry completely, attach to base of trees, assemble the card and enjoy!